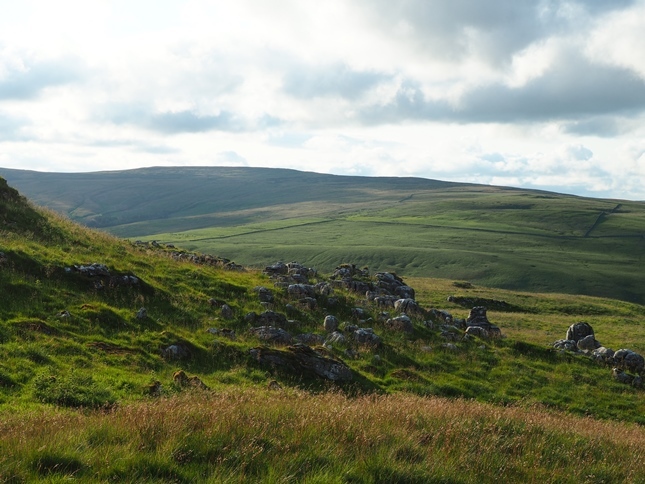 Darnbrook Fell is a near neighbour of Fountains Fell and forms much of the western flank of Littondale between Arncliffe and Nether Hesleden. 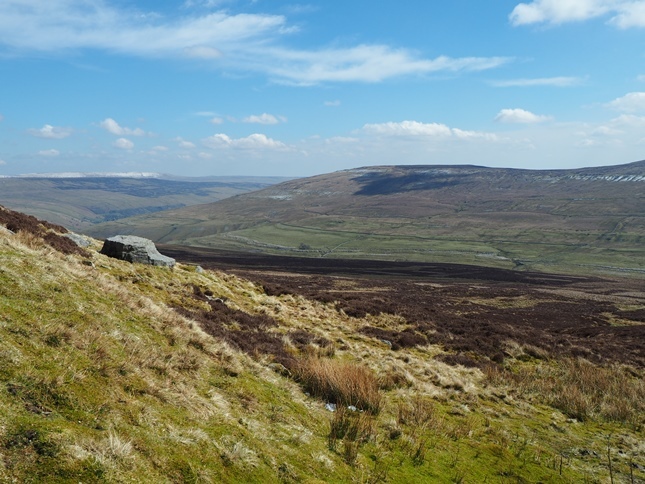 The eastern flank of Darnbrook Fell runs for almost three miles above Littondale. To the north the fell is bounded by Pen-y-ghent Gill and to the south by the equally steep sided Cowside Beck. To the west a boggy saddle connects Darnbrook Fell with its higher neighbour Fountains Fell. 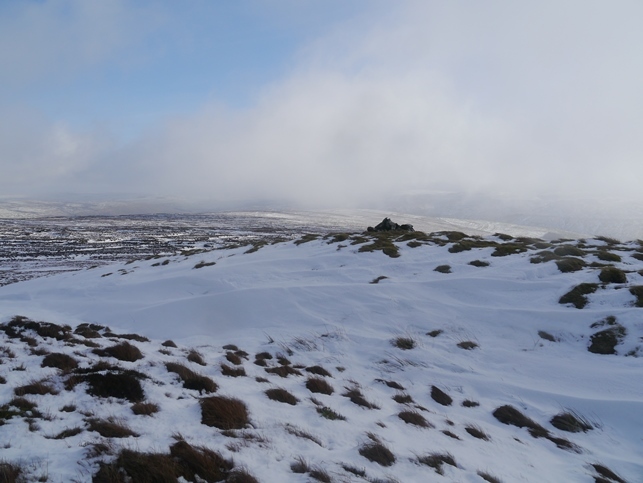 No public right of way crosses the upper reaches of the fell and there are no walkers paths as such to the summit either. This makes Darnbrook Fell one of the more challenging of the Yorkshire Dales’s 2000ft fells to visit, this despite it being one of the lower Dales mountains. 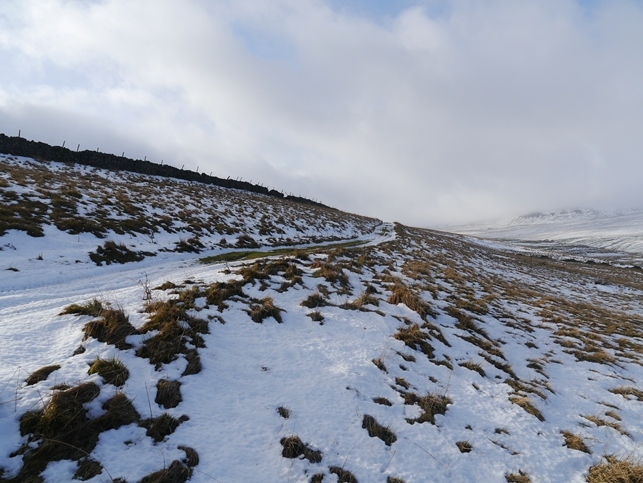 Probably the easiest route is to take the old monk’s road which climbs up from Litton to eventually join the Halton Gill to Stainforth road near the head of Pen-y-ghent Gill. This is a grand track which generally seems to be called Dawson Close. At grid reference SD875737 turn off the path and follow the wall on to the top of Darnbrook Fell. 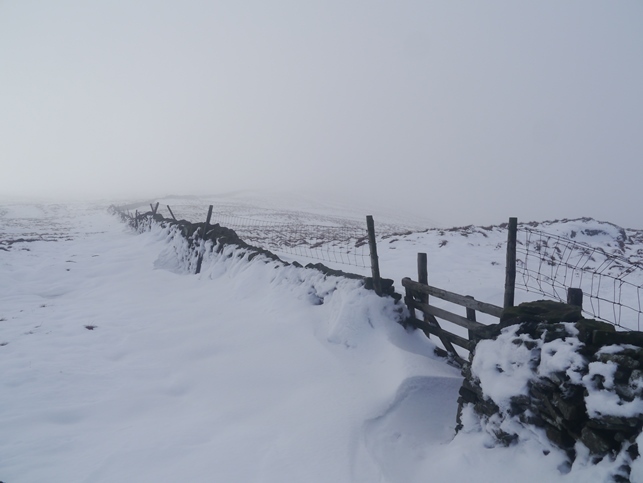 Whichever side of the wall is followed at least one more wall or fence will have to be climbed to reach the summit. An alternative route is via Fountains Fell. 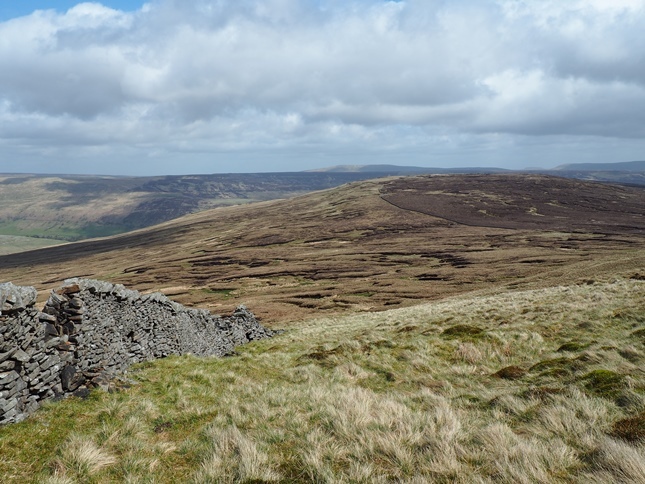 As the Pennine Way passes through a wall to the north-east of Fountain Fell’s summit turn right and follow the wall on its northern side, crossing one other wall, before negotiating some boggy ground in the saddle between the two fells. It is best to stick close to the wall, the half decayed remains of sheep in some of the greener bogs providing a stark warning of the dangers that even Darnbrook Fell can hold for the unwary. 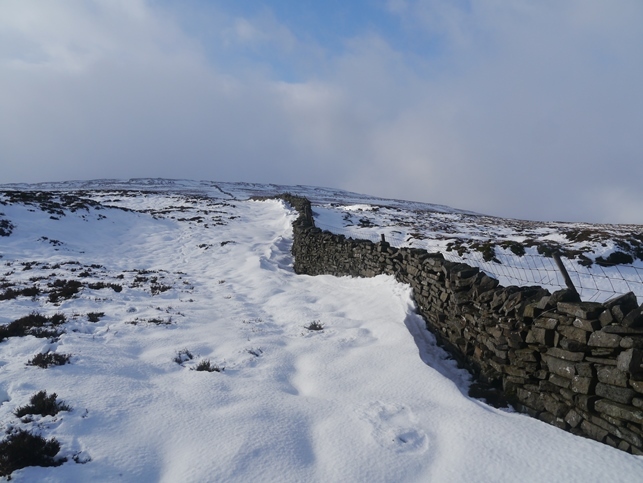 A third possible route is from the summit of the Arncliffe to Malham road to the south. Apart from a quad track near the start this is a long pathless slog which has some difficult walls to cross. I used this option as a route back to Arncliffe during a traverse of the fell in winter. 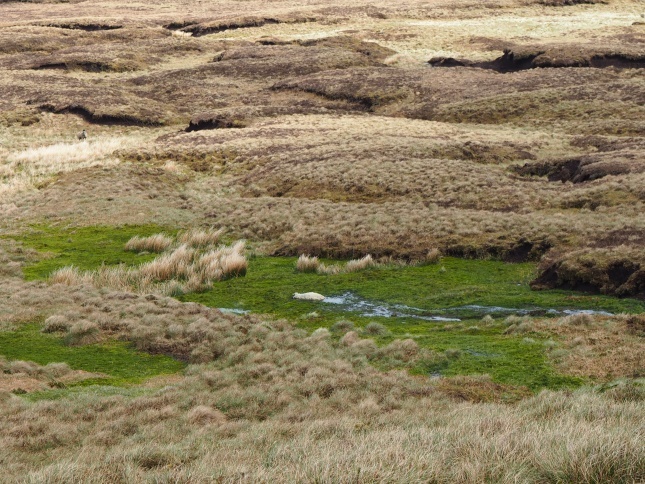 Almost immediately I encountered a large area of peat hags and groughs. Matters were complicated by the snow which had drifted in the groughs. In places I was going in up to my knees and once my left leg went in up to the top of my thigh. It was some of the toughest walking I’ve ever done and purely as a point of interest it would be interesting to see what it would be like in drier conditions in the summer. The summit is a broad peaty plateau. Much of the peat has been heavily eroded, none more so than the hag that the Ordnance Survey placed their trig point on. With the peat having been gradually washed away the base of the trig point is entirely exposed. One wonders how long it will manage to stay upright. 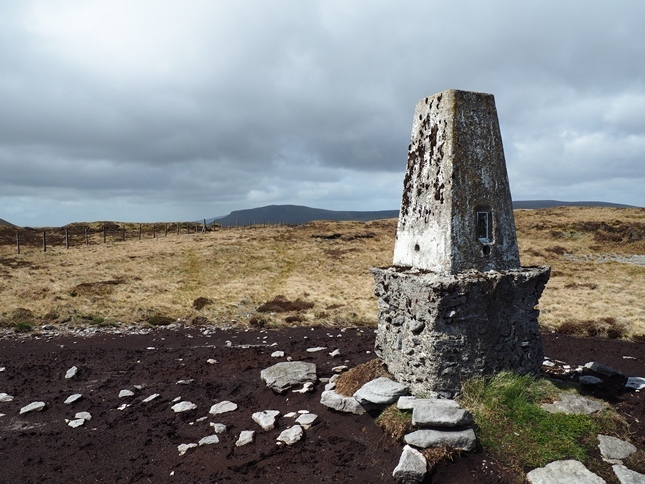 Although the fell is commonly known as Darnbrook Fell the OS actually logged this trig point as Cow Close Fell. The summit is too broad and peaty for it to be a particularly good viewpoint and there is no depth to the view. 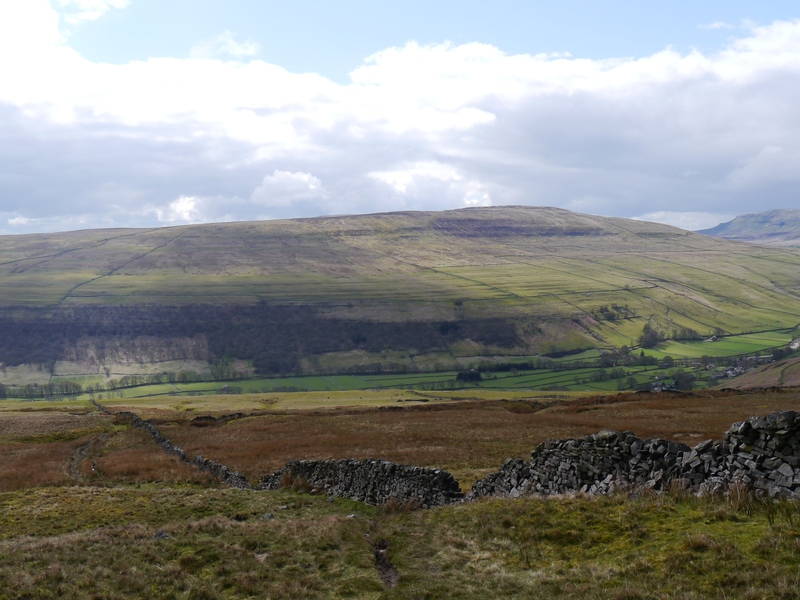 The panorama is also somewhat limited by the higher ground to the west and north in the shape of Fountains Fell, Pen-y-ghent and Plover Hill. Despite the rather restricted view and difficult terrain I’m quite fond of Darnbrook Fell. It is one of those unfashionable hills whose charm resides not in any outstanding feature but in its wide open spaces and lack of crowds. Indeed Darnbrook Fell is one of those places where more than one person would be deemed a crowd!